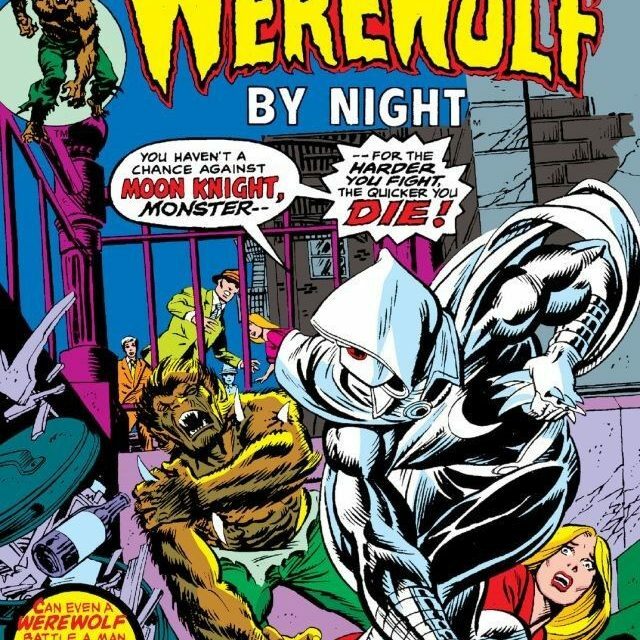 There is not a hotter bronze-age book on the planet right now than our Overvalued Overstreet book Werewolf by Night #32 featuring the first appearance of the Marvel super-hero Moon Knight. 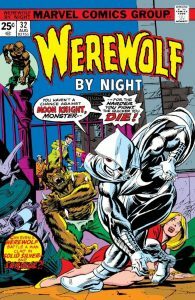 Moon Knight first rode on to the scene via helicopter, with his trusty pilot “Frenchy” in August 1975 in issues #32 and #33 in the pages of Werewolf By Night. 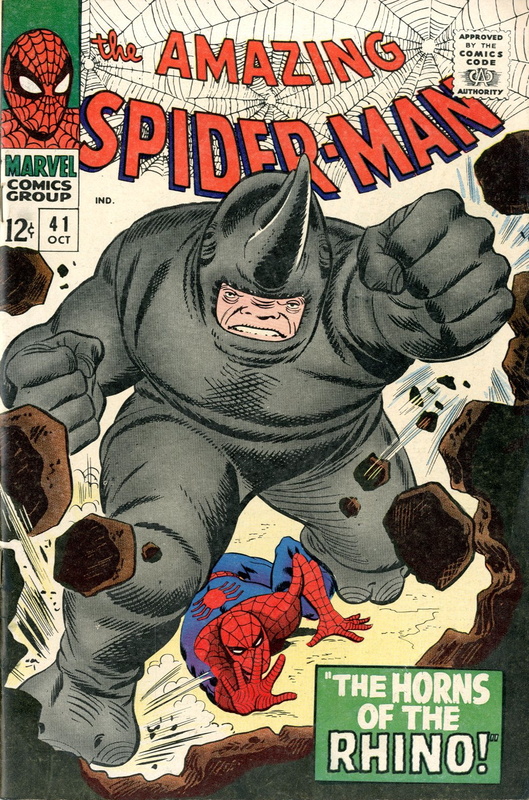 He was an instant hit and quickly returned in issue #37. 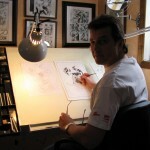 He followed this up with a couple of appearances in Marvel Spotlight #28 and 29 and later his own series. He fit in quite nicely with Marvel’s new band of west coast super-heroes. Moon Knight’s civilian identity is Marc Spector, a mysterious guy with lots of money. He also turned to out be a psychiatrist’s dream. He had multiple personalities, spoke to the Moon God Knonshu, killed people occasionally, a real psychological trainwreck. Moon Knight had a rather creepy all-white costume. He had a utility belt filled with crescent moon gadgets and other gizmos that reminded you of the Dark Knight’s belt. In fact, he reminded me quite a bit of Batman without a memorable “rogues gallery” of villains. He is a superb athlete, specializing in various martial arts. He draws extra power from the moon, the bigger the better. Overall, I would sum up Moon Knight as an intriguing “B” character in the Marvel Universe, with a small but devout following. In no way shape or form is he mainstream or an “A” list character. I don’t think I can remember a more over-hyped and speculated book in some time. Speculation on a possible Moon Knight Marvel movie or TV series has been going on for a couple of years now and reached a fever pitch in April of this year when Disney management reportedly stated that a Moon Knight project would soon be in the works, no confirmation if it was a movie or TV project. I would suspect that we won’t hear anything official until after Phase 4 of the MCU is announced sometime in 2019. On the other hand, a TV project could be announced anytime, and in my opinion, would have a chance to do a better job of exploring the many dark facets of Moon Knight’s persona than a two-hour movie. The current 48th Overstreet Price guide valuations are 6.0 $300, 8.0 $600, 9.0 $975, 9.2 $1350. This price info is 3-6 months out of date as recent sales of 9.2 Werewolf By Night have made it to $1800. Overstreet can’t be of much help on this upswing and will be just as useless when this book begins to recede. Overstreet should never be used for price info on rapidly rising or falling books. It is more of a hindrance than a help. Higher grades are getting even crazier money for this book right now. I am at a total loss to explain the rapid rise of this book. It is not rare, but obviously, current demand outstrips supply. I can’t explain the demand either outside of movie speculation fever. This would be a quick in an out story for this book if you were buying it. Pretty soon this book will be closing in or surpassing Giant-Size X-Men #1 and Amazing Spider-Man #129 values. All for the first appearance of Moon Knight ! 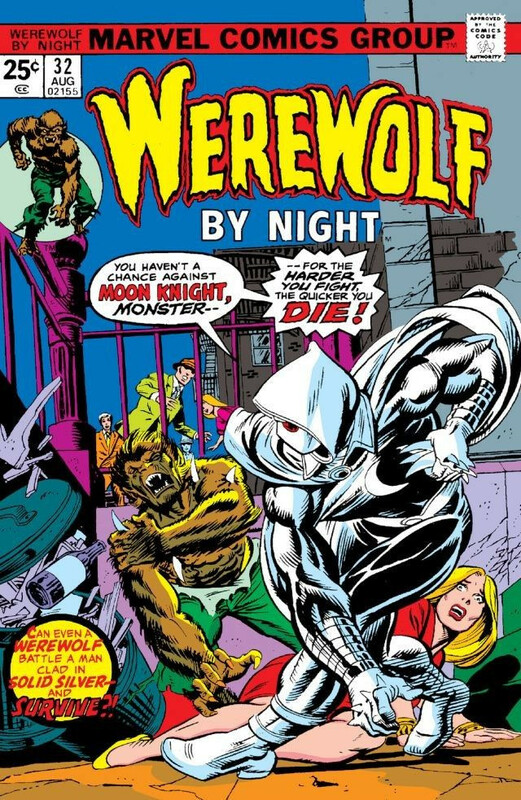 There are many places to spend $1800 on comic books, and Werewolf by Night #32 would not be one of them for me. Another great entry, Mike, I totally agree on this one. I don’t see how Mark Spector is a relatable anti-hero like Bruce Wayne, Logan or even the Frank Castle is. 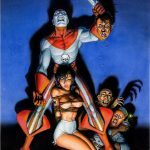 Those characters have easily identifiable reasons for their actions… why should we care about a nut-job vigilante who is motivated by serving a moon god? I’d love to hear from the devotees on what makes Moon Knight a compelling protaganist and how this 1st appearance deserves its blue chip status. I’d much rather have Hero for Hire #1 for the same price. Even if MCU made a movie or show with MK, I don’t think they could pull off another “B to A lister” like they did with Iron Man or Black Panther, without completely revamping the character and making him more human and relatable. I think the speculation is so high on this because people think Disney/Marvel is could make something substantial like the Dark Knight Trilogy… after all, it’s the closest thing Marvel has to Batman. If the Netflix shows are any indication, high quality stories about dark heroes isn’t their strong suit. Also, I think the White and Silver costume is going to look odd in the flesh. Agreeing with you Mike, but I hate to because I scored a cheap raw 9.0 on this book years ago, and would like to see it go higher, but don’t see that happening in a significant way. Looking forward to the next Overvalued Overstreet! I think Moon Knight has a more devout following than you think. The sales just don’t support undervalued. Plain and simple. If your saying it’s a little over hyped because he’s not a-list character then I can probably agree with that. I meant sales don’t support overvalued. More like undervalued. Sales are sales and people are buying into it. I wish there was an edit on here. 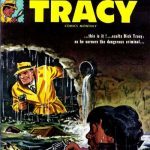 Thanks for post Darren – I was just over on the Undervalued spotlight answering Nathan’s post and alluded to what I would do if I had a Werewolf by Night #32 – Pick your spot – slab and sell! You have time but I think this current buying frenzy is done almost 95% on speculation not by Moon Knight fandom. Nathan I do believe Moon Knight has a devout following . I think it is a small group, and the people who think they can make money from the movie hype on Werewolf by Night #32 is a large group. If its Moon Knight fandom is driving these prices they are a well heeled group. I too wish there was an edit on here. I have to agree with Nathan’s second comment. If the price is higher than Overstreet we are talking “Overvalued Spotlight”, not “Overvalued Overstreet” – maybe a topic title change is in order. But don’t get me wrong, I’ve been kvetching about this book for years. 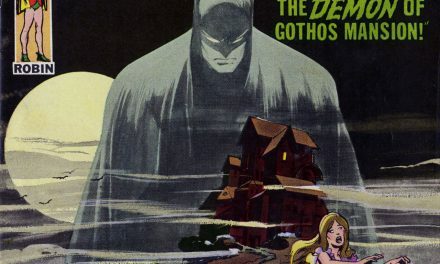 Back in the day I used to read Moon Knight for the Sienkiewicz Adams rip-off art, while seeing Moon Knight himself as a decent rip-off of Batman. The character was a B-lister from the outset, and as discussed above, as far as I can tell remains a B-lister, so the run-up in prices has been equally mystifying to me. If you look at the graph of the appreciation it doesn’t follow the usual “movie announcement” pattern, but rather a constant run-up 2014-2016, a year of plateau, then a faster run-up this year. It seems more like a madness of crowds phenomenon to me, and also likely to be a “buy on the rumor, sell on the news” situation. While the book has quite a ways to go to catch up with GS XM #1, on a scarcity adjusted basis it has surpassed Showcase #22. 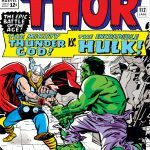 This might be apples to oranges for a bronze/copper age Marvel collector, but if you step back and take a broader view it’s pretty hard to stomach. 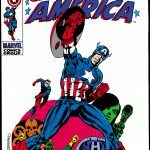 I heartily support Mike’s approach to trade something like this in for a nice Golden Age book, especially a Schomburg war cover. There are very few of those GA books in any decent grade relative to this book, and even my kids instantly see how cool the crazy Schomburg covers are, while they don’t know who Moon Knight is and they can’t tell the difference between this book and those in the dollar bins. 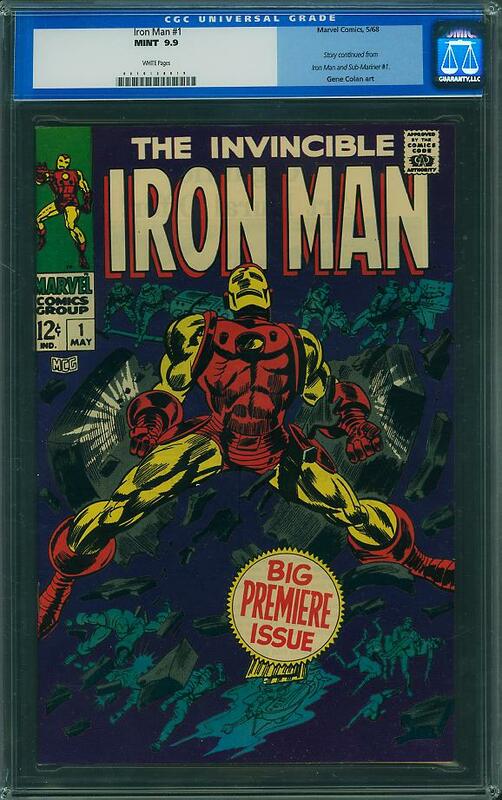 If you want to stay bronze/copper Marvel I would still suggest doing some research and finding five to ten scarce very high grade books of this era (hopefully containing obscure first appearances as lottery tickets) to trade for. That’s not to say this book can’t keep going – I of course didn’t expect any appreciation in the first place – but if you don’t have an argument for this being an A-list key, you have no argument for demand and are _only_ holding a lottery ticket. Thanks for the comment Chris. I have tussled with the name of this column in the past . 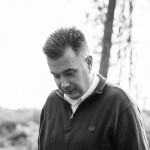 I am already writing in two of my own and two others on the site. Sometimes I shoe horn in a post like Walt did last week on the 9.9 collecting strain. 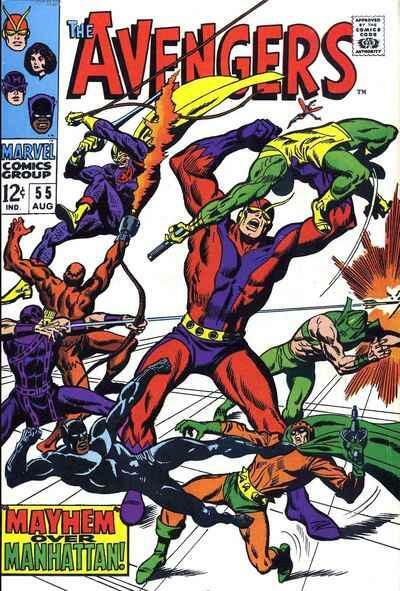 I do see Werewolf by Night #32 as a future Avengers #55 . When it breaks off in popularity Overstreet won’t react to the downside very quickly or at all. I agree though that you and Nathan’s comment is spot on with this post. I wish I had chased Golden Age years ago when I first really discovered it with the Gerber Photo Journals, followed quickly by the advent of the internet. I was so Spider-Man focused back then even when I did pick some Golden Age books up, I traded them for better copies of early Spider-Man, which hasn’t worked out too bad either. It is a mid-grade copy of Suspense #3 that I didn’t buy for $350 that still haunts me today. 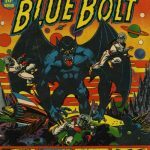 I think older bronze books will enjoy a much deserved spike in value/interest for the foreseeable future due in part to the backlash against the overabundance of social commentary that’s invading new and older titles. Here we are now entertain us; please don’t preach to us! If you want to sell books anyway? IMHO..
Great post Mike.I don’t get this one either , however I wish I had about 10 of them in high grade,Cha ching! Hey James I think you can go back to the early bronze age for the birth of social commentary in comics with the much lauded Green Lantern/Green Arrow run #76-89 by Neal Adams and Denny O’Niell. These books didn’t save the run from cancellation due to poor sales, which may be closer to your point. Thanks for chiming in! Thanks Dennis always good to hear from a kindred spirit. I have listed below some results from Comiclink’s Summer Auction which ended after this was posted. Cha-Ching!! With 10 of these Dennis you would be getting close to retiring! This is a small sample size to be certain, however it does yield interesting trends. The high grade (9.8 & 9.6) Werewolf by Night #32 has blown past the bronze age stars Amazing Spider-Man #129 & Giant-Size X-Men #1 in price. The collector grade 8.5 still has not caught ASM #129 or GS X-Men #1. but it is getting awfully close.